After recently upgrading my computer with new fans and a case I ended up with three open 5.25″ bays on the front of my Zalman Z11 Plus case. At first I thought about getting one of the triple-bay fans but most of them come with blue LEDs that don’t match the blue LEDs in my Zalman case. The Zalman Z11 Plus case has great air-flow so I didn’t really need any extra air cooling, therefore I didn’t really see the point in uglying up my case with non-matching blue LEDs or going through the trouble of swapping out fans on the triple-bay fan. Instead I found this thread on reddit that lead me to this post with a huge list of things to put in those empty 5.25″ ATX bays. The Zalman has 5x 5.25″ bays and after my DVD-RW and multi-card reader I was left with 3x empty bays. I decided to add an Orico 5.25″ to 3.5″ Sata HDD hot-swap bay for when I need to do hard drive diagnostics and recovery without having to open my case or use a USB to Sata adapter. Next I added the most useful 5.25″ bay accessory that I’ve ever seen, even more useful that the cigarette lighter and cup-holder – it’s a little 5.25″ black drawer by KLOUD City! There are other 5.25″ drawers available on Newegg and Amazon, and some even have a nice sleek flat front.. but those looked like a pain to open, and some reviewers said those other drawers don’t stay shut very well. 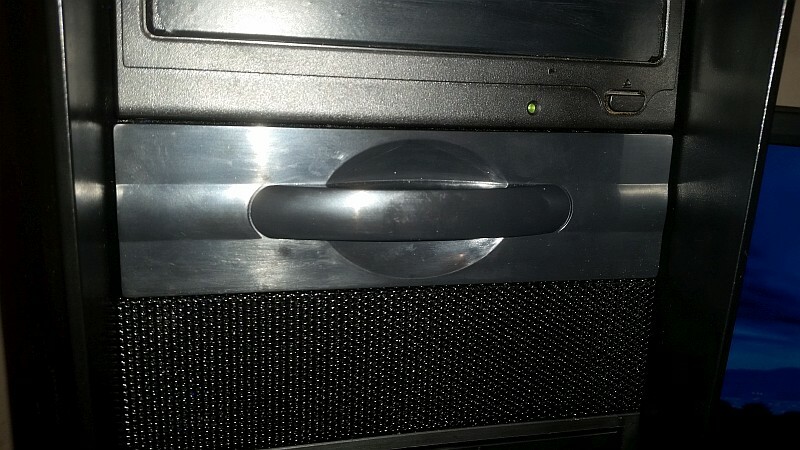 I’ve had my PC case leaned super far forward, with all the crap inside, and the KLOUD City black drawer stays shut! Also, the Kloud City drawer’s handle may not be very sleek, but the drawer stays shut so well that a decent handle is needed to just to open it. 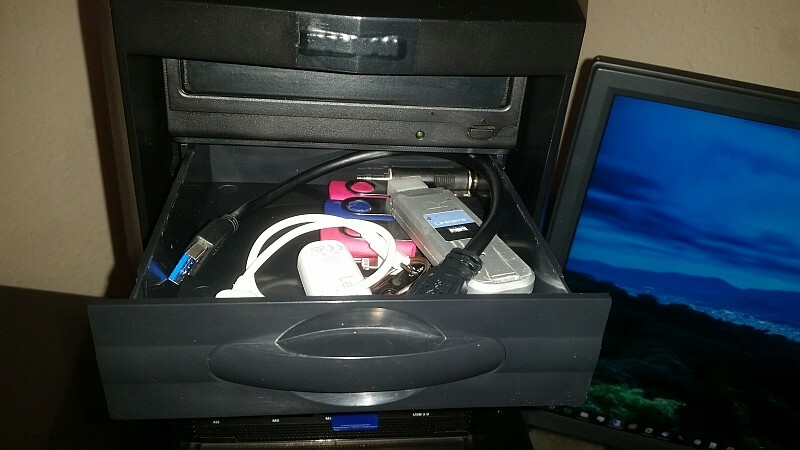 I’m very happy with this KLOUD City 5.25″ ATX Black Drawer. I think they should also make some double/triple bay drawers as well! Next Next post: How I Learned That Not All Hetzner Root Servers Are the Same!